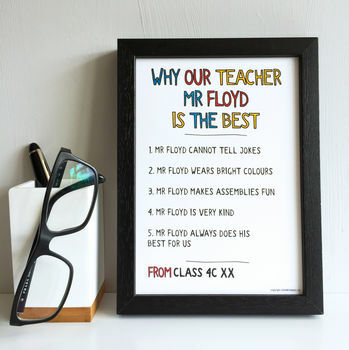 Teachers will be delighted this end of term with this personalised teacher print letting him know why your school teacher is top of the class. A perfect gift for teachers at the end of term. A real top of the class gift. 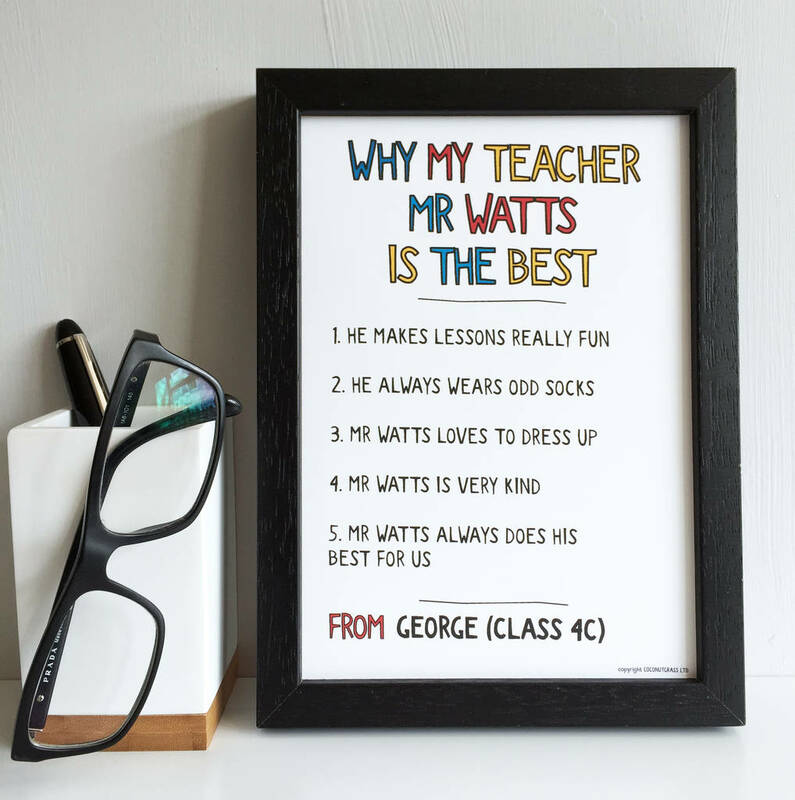 Let your teacher know why they are so special to you all with this special gift for school teachers. Simply enter into each of the boxes. It might be your teacher always makes you smile, they make boring things really fun or that they taught you to write your name. All words are printed in Block capitals.